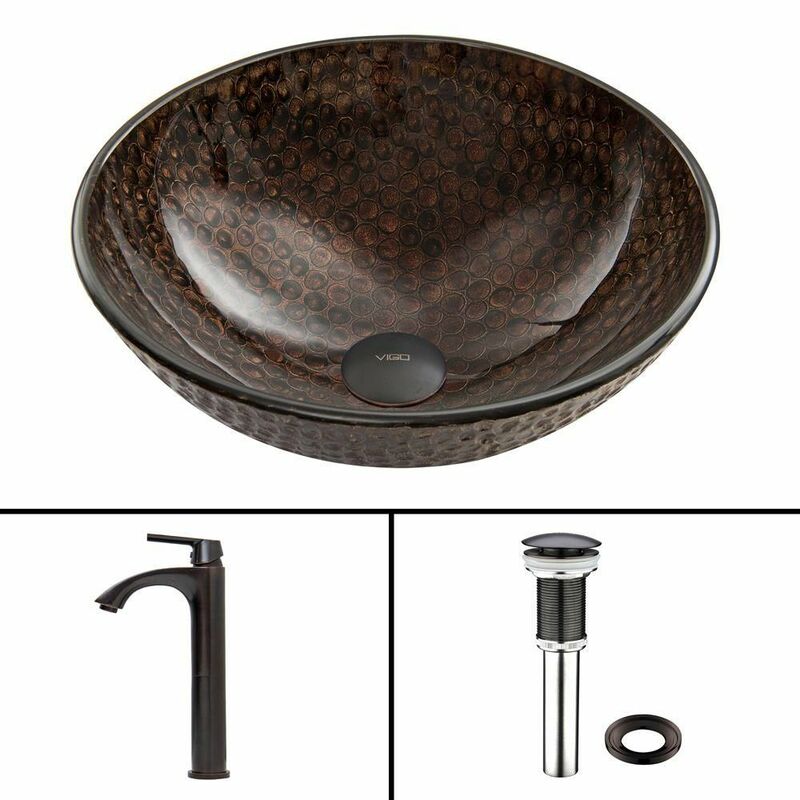 Glass Vessel Sink in Copper Shield with Linus Faucet in Antique Rubbed Bronze is rated 5.0 out of 5 by 2. Rated 5 out of 5 by DH from Exceeded my expectations especially for the price. Sink and faucet were a great addition to a com... Exceeded my expectations especially for the price. Sink and faucet were a great addition to a complete vanity makeover. Glad I went with Vigo, looks high end. Rated 5 out of 5 by Tom from Excellent vessel sink and faucet This vessel sink and faucet were evidently made for each other. Both came in the same box, which was well packed, with every thing inside that would be needed for installation. Installation was very easy and did not leak. What is better than that is that it looks great and functions properly. You can't really go wrong with this package. I will buy two more when I redo the upstairs bathroom.